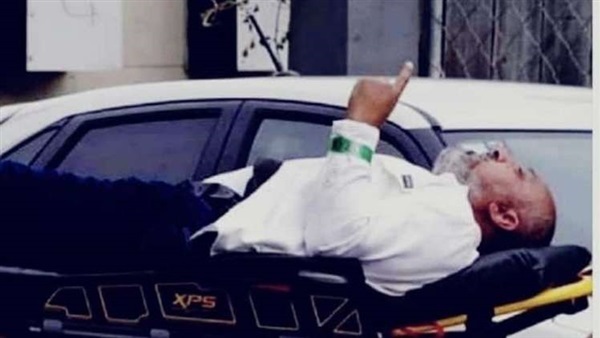 The terrorist attacks in New Zealand are a blow to the world and humanity. If the international political forces have tried to cover up their failure in facing terrorism by blaming a particular religion without taking into account that terrorism has no religion, race or homeland, then the latest incident has put the world in a bind and forced it to face reality, confirming that terrorism belongs to fundamentalism, whether religious, ethnic or ideological, and regardless of where that fundamentalism is practiced. Fundamentalism began to emerge in the United States during the early 20th century due to several reasons, including the migration of Catholics and Jews from Europe to America in the second half of the 19th century in search of better work and economic conditions, which contributed to the emergence of different cultural ideas and visions. The American Civil War in the 1860s, which contributed to the augmenting the North-South divide in the economic and financial spheres, and Charles Darwin's publication of his theory of evolution and his conflict with the story of creation in the Bible also contributed to the emergence of several fundamentalist movements within the United States, such as the fundamentalist Christians, the liberal Christians and the secularists, all of whom can easily be distinguished because of their different opinions. In the book “The Fundamentals of Extremism: The Christian Right in America”, writer and editor Kimberly Blaker advocates the secular trend, to which she belongs, and clearly highlights the seriousness of Christian fundamentalism in the United States, which is widespread throughout the fields of politics, justice, education, religion, economy and others. According to the Blaker, the fundamentalists in America see their country as the land of the WASP (White Anglo-Saxon Protestants) and therefore reject the existence of anyone within America who differs with them racially, religiously or ideologically. She then highlights Catholic fundamentalism and its cooperation with Protestant fundamentalism, before talking about Islamic fundamentalism. The book then deals with how fundamentalists in America convert their ideas, which are based primarily on religious orientations and populist legends, into US policies, which helps them to exert their vision on the world. Blaker believes Christian Right has become one of the most powerful interest groups in the United States by controlling what is being taught to the youth, implanting experiences, visions and ideas in their minds, controlling their assessment of things, and thus determining the future direction of America. She later discusses the suffering that women and girls face in conservative societies and the exercise of male authority over them by their husbands, fathers and even children. In the view of fundamentalists, women are merely subjects of men and subordinate to them, painted by their religious interpretations. Meanwhile, during the American Civil War, fundamentalists sought to impose their moral and social standards. They battled with the rest of the society, aiming to rid society of everything that contradicts the religious rules according to their vision. They saw women, followers of other religions and sects, and atheists as their enemies. In a chapter written by John M. Suarez, the underlying conflict between fundamentalist groups in the United States and the US Constitution is highlighted. These groups see the existing constitutional text as an obstacle to the realization of their dreams, in which they seek to establish a religious state based on Christian ideology and turn their theoretical ideas into existing political action. In the next chapter, Herb Silverman emphasizes that the essential goal of fundamentalist groups in the United States is to turn it into a Christian nation, believing that it is responsibility to God that must not be opposed. They also aim to allow prayer in public places and to evangelize the public sphere. He also highlights the difficulty of fundamentalist groups reaching comprise in the political sphere, since politics is primarily based on negotiations and compromises to find the best solutions, while their religious beliefs are based on absolute and unquestioned governance. In the last chapter, Edward Buckner draws attention to the similarities between Christian fundamentalism and Islamic fundamentalism, highlighting several cases, such as Iran. Buckner believes that the solution is to support secular thought to serve as a wall of resistance to fundamentalist thought, as the spread of secularism and its control of the country’s scientific thought would prevent fundamentalists from implementing their plans. It is clear from the book that fundamentalism in all its forms and religious affiliations is one of the most serious issues of the modern era. It is not merely a crisis or intellectual disagreement in academic circles; it is a threat to women, society, democratic systems and all decent ways of life.